Come celebrate the opening of Trinity Arts Festival 2019! Join in the GMB CHAMBER for a night of music and live performances. The Sound Cavern will feature four fantastic live acts. Judith Robinson is a 3rd-year music and drama student, and her most recent performance was singing at the National Concert Hall with Trinity Orchestra as part of the Bowie Festival. The Trinity Belles were founded in 2013 and are an all-female A Cappella group in Trinity. Robbie Stickland, known for his soft rock melodies, has recently played some fantastic shows at Sleepover Club, Crowbar and Workman’s. Greg Tisdall is armed with a live band, mixing indie pop melodies with a captivating stage presence. 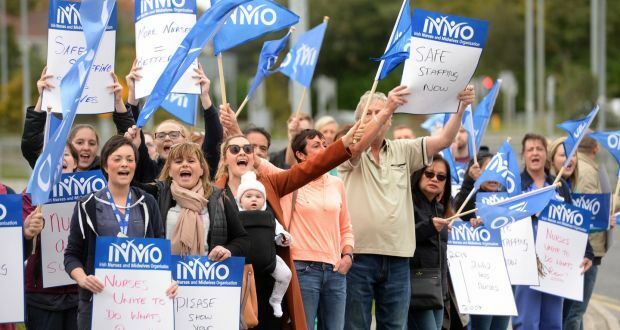 The Nurses and Midwives are in the thick of a major battle to defend and improve our health service, which includes fighting for decent and fair pay for the nurses themselves. All workers should support the nurses in this fight. A victory for them is a victory for us all and will be an example that other workers should follow. We all deserve a living wage and that’s what we should demand in this so-called recovery that skewed massively in favour of the super-rich. Come along to this meeting hosted by Solidarity TD Ruth Coppinger and hear from nurses, teachers and other essential workers who are organising to tackle this inequality. This new contemporary adaptation at The Lir Academy turns William Shakespeare’s classic tale into a modern-day take on the refugee crisis, in a story of resilience and hope. When Antiochus, the malign ruler of Syria becomes a threat, Pericles must escape conflict and flee his country, risking his life at sea. In this modern-day adaptation of one of Shakespeare’s Romances, Pericles becomes a refugee, a modern hero. His strength and resilience will be tested by the Gods as he seeks asylum in different lands, meets love, faces loss and is ultimately restored to his rightful place.